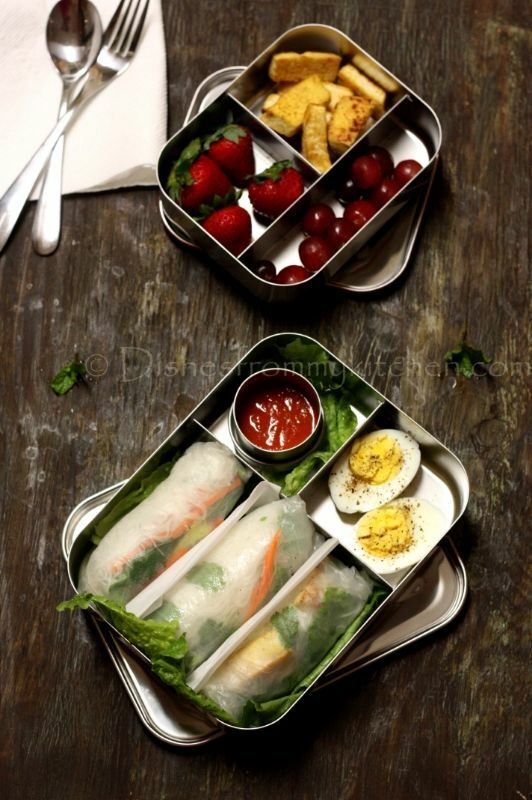 Vietnamese Summer rolls (My little one's favorite), boiled egg and sauce for lunch Strawberry , grapes and spiced tofu for snacking. Since Summer rolls has everything in it cucumber, carrot, tofu , lettuce etc so no extra salad today. 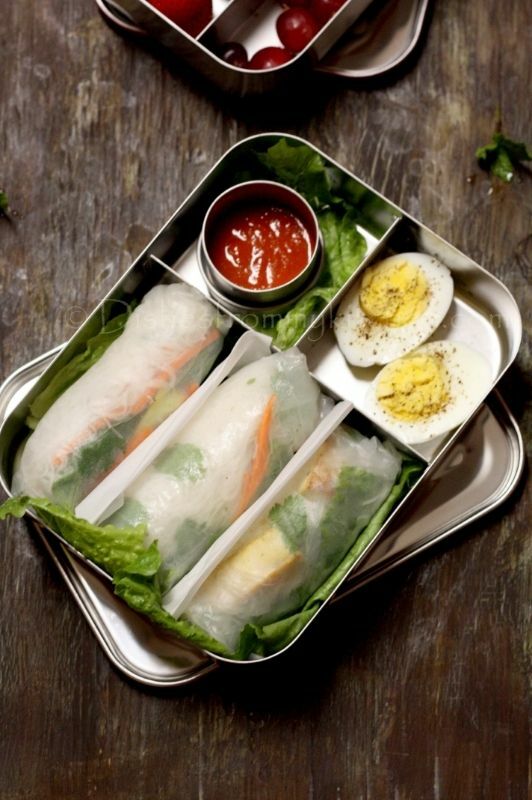 LUNCH BOX : VIETNAMESE SUMMER ROLLS, BOILED EGG AND SAUCE ! SNACK BOX : STRAWBERRY, GRAPES AND SPICED TOFU FOR SNACKING !